As state-wide enforcement and litigation increases, more and more employers are looking at increasing safety budgets to protect workers. 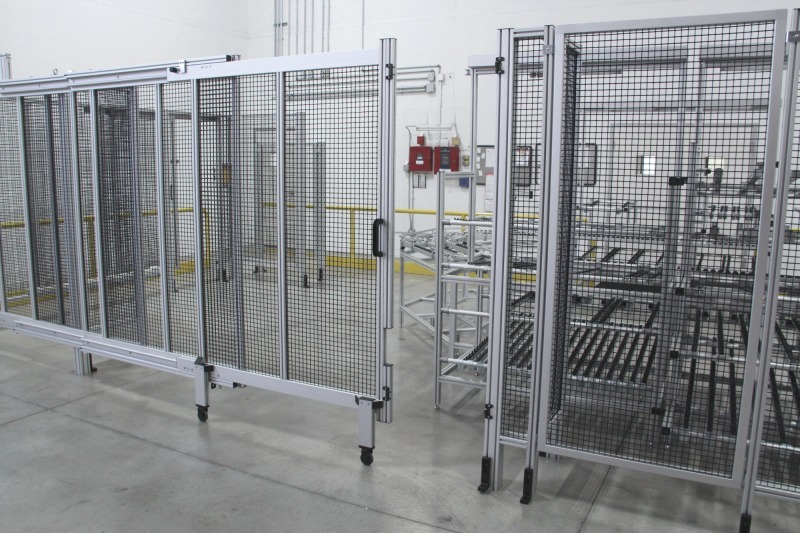 In Ohio, the Bureau of Workers Compensation is providing matching funds for Safety Grants and Safety Intervention Grants for adding or improving existing safety hard guarding or specialty enclosures to mitigate risk against personal injury including machine safety, sound containment, vapor extraction or laser containment. As a world leader in safety and safety components, Rockwell Automation (Allen-Bradley) has a top-notch channel of high tech distributors who can offer mitigation and risk services as well as Safety Switches, Guardmaster Safety Relays and even Presence Sensing Safety Devices. Having participated in the Rockwell Automation Encompass Program Partner for the past ten years, MB Kit Systems can complete this offering by assisting the Rockwell Automation Distribution Channel in designing, building and delivering a complete safety hard guarding solution that can be installed locally by qualified maintenance contractors. Upon completion of the risk and mitigation study, MB Kit engineers design hard guarding to reflect the desires of machine operators and safety managers to provide the safest environment possible while maintaining production levels. The experience in safety application design and relationship we have with Rockwell Automation ensures that each and every safety component chosen for an application fits exactly where it should be and it performs exactly how it was designed to. Letting MB Kit Systems participate in your safety solutions means that customers will not go outside of the Rockwell Automation channel to find safety hard guarding from potential competitors. In many cases, “pull-through” can approach and exceed 200% when using MB Kit safety solutions. MB Kit Systems excels in designing and constructing custom application machine enclosures. Our in-house stock of several panel materials includes aluminum sheet panels, polycarbonate, and a variety of other plastics. Additionally, a variety of aluminum and steel mesh is offered to be built into your enclosure project. 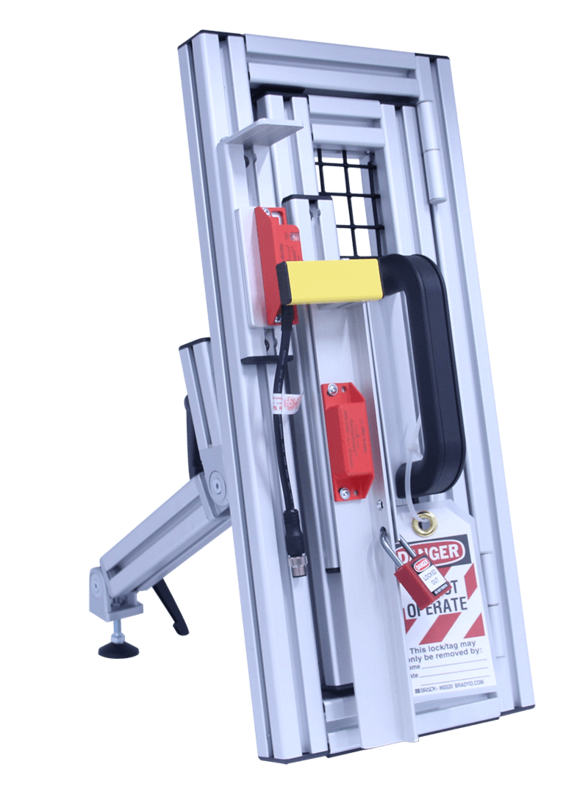 The newly revised lock out tag out device provides a secure environment for about $160 each in quantities of 25 pieces. When installed and used properly, this new device provides a robust, clean-looking safety option. 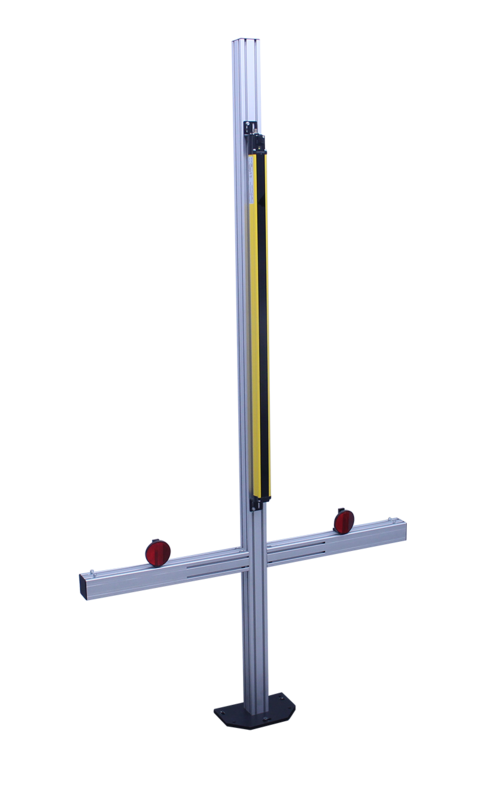 This two meter Allen-Bradley Guardmaster mounting stand is a robust 60mm x 60mm structural aluminum profile that can be configured to meet many safety requirements on the manufacturing floor. 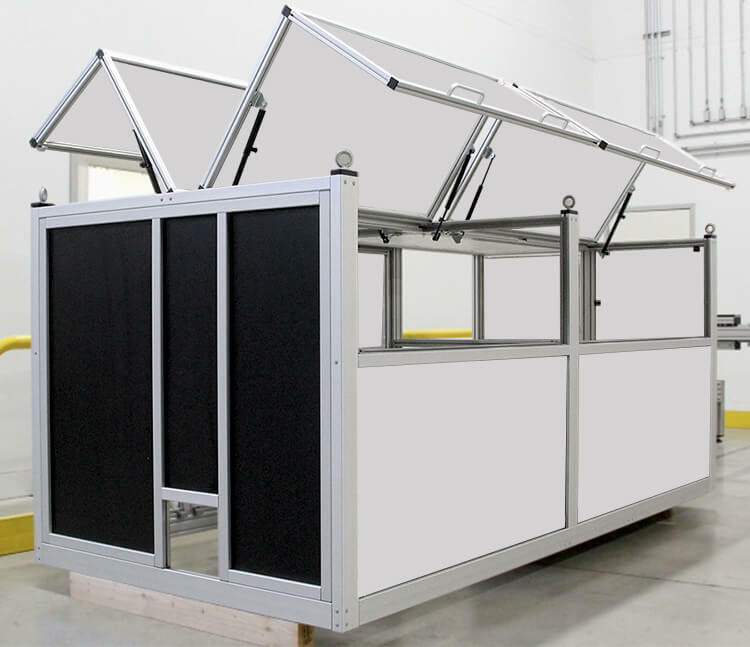 The stand is designed for mounting safety light curtains, corner mirrors and the 445L muting box. Supplied hardware includes everything needed to both mount and level the column.